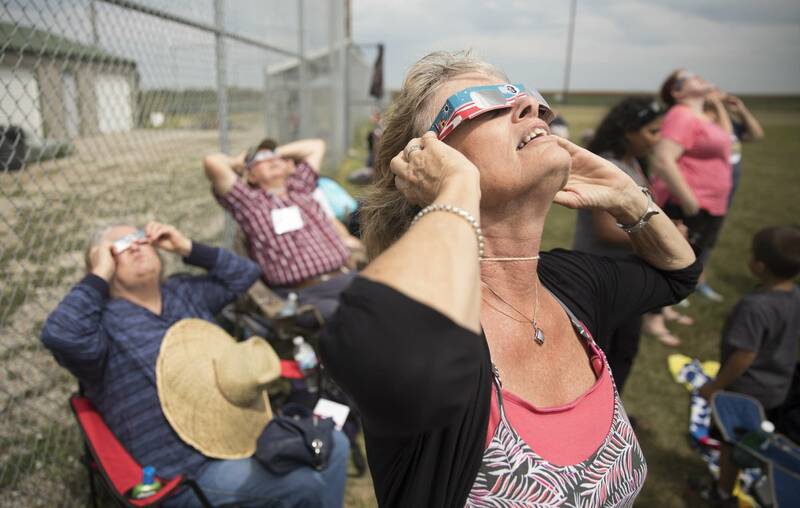 Three years ago, Albert Lea high school science teacher Ken Fiscus talked to officials in Pawnee City, Neb., about the 2017 eclipse. 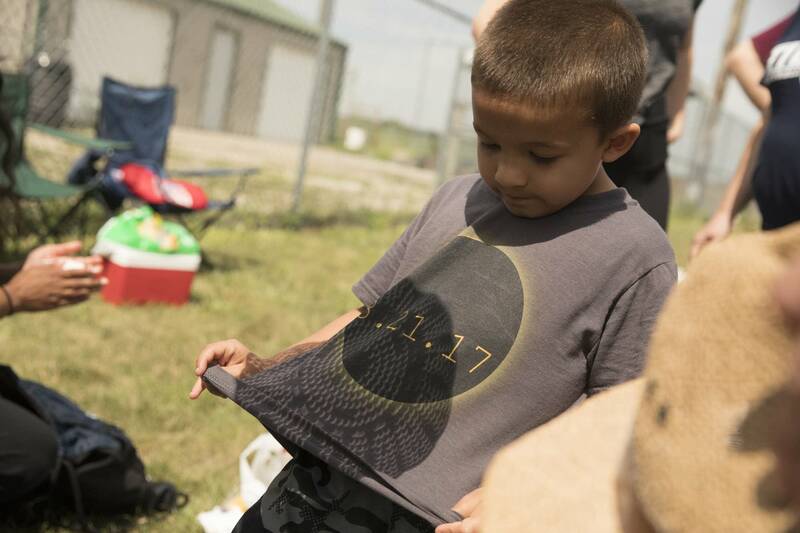 He hoped to get the town where he grew up to do something special, since it would to be in the "path of totality" — the area where people could see a full solar eclipse. 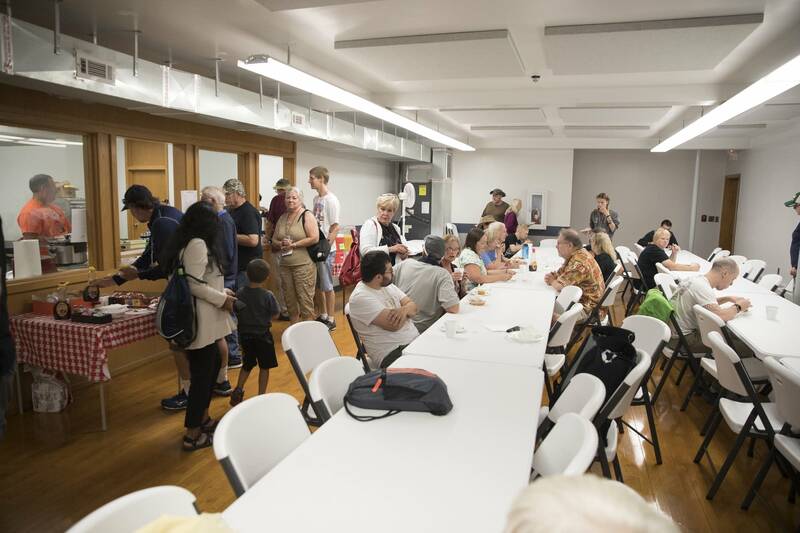 Through his efforts, Fiscus convinced them to host watch parties, and he helped plan the viewing locations around the area. 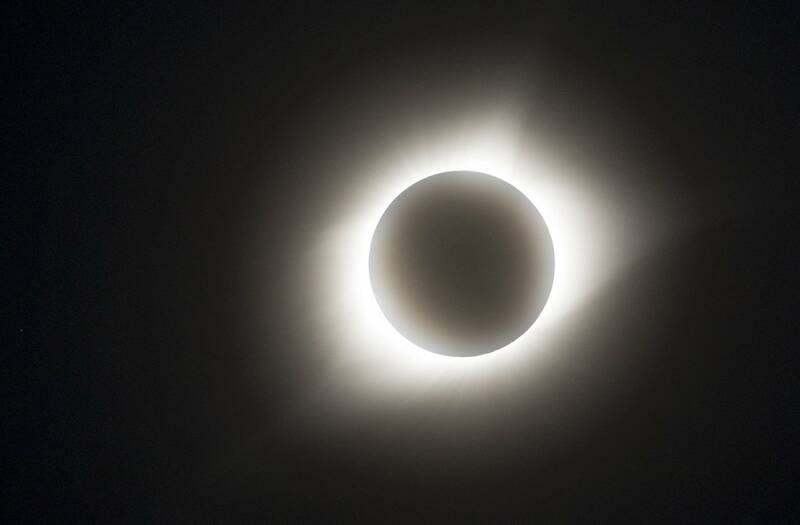 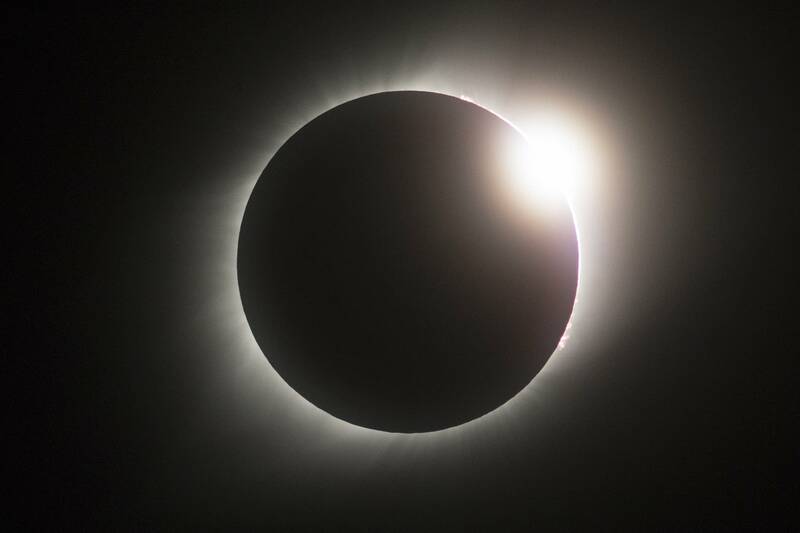 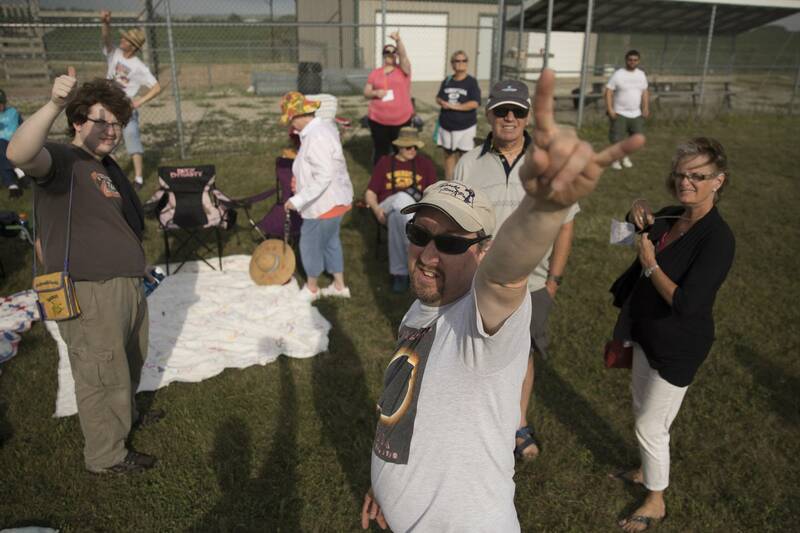 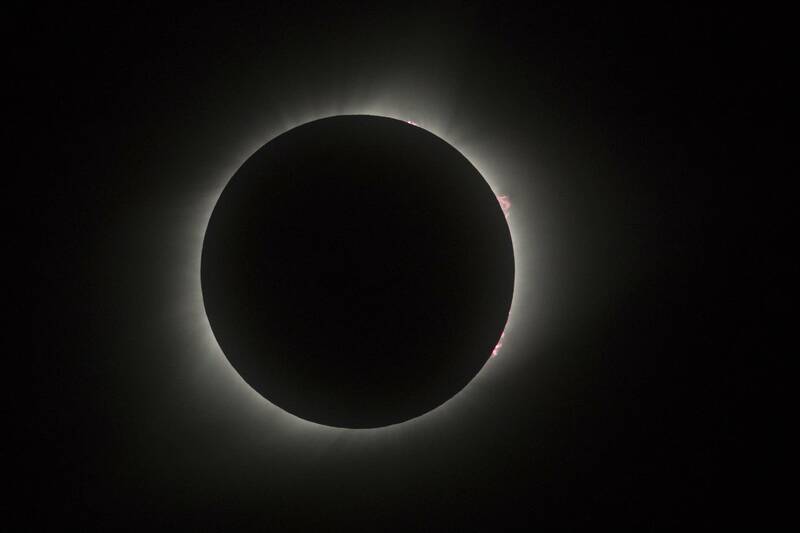 Then he set up a charter bus to go from Albert Lea, Minn., to Pawnee City to watch the eclipse because, Fiscus said, he wanted to "share the beauty of the universe with as many people as possible." 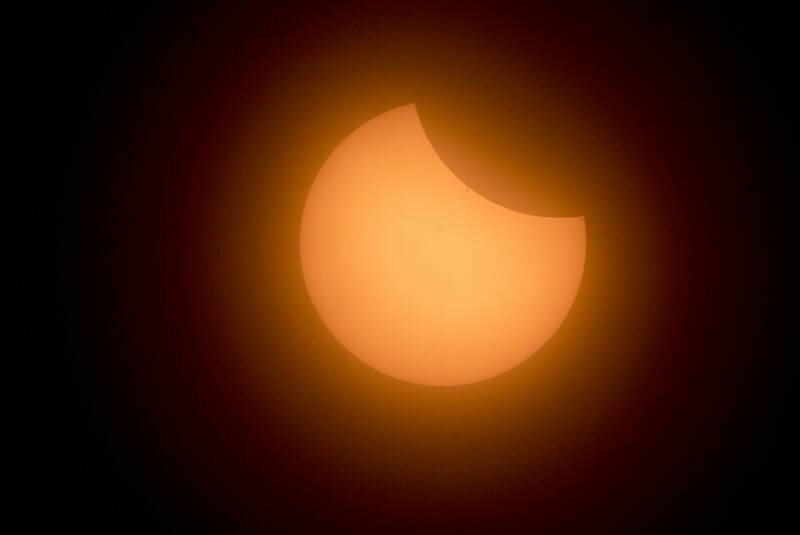 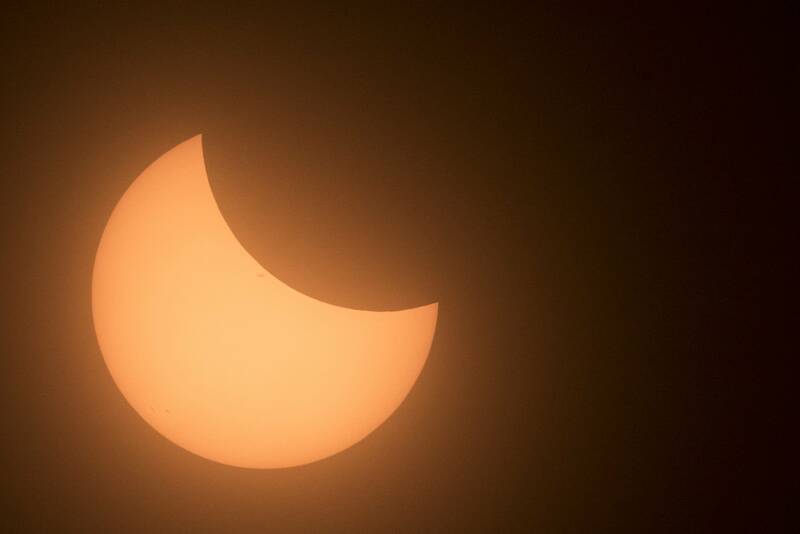 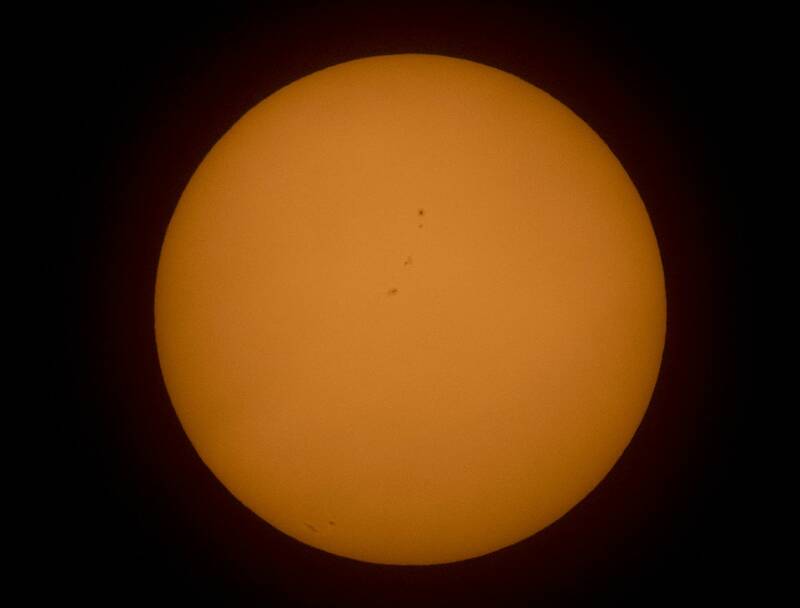 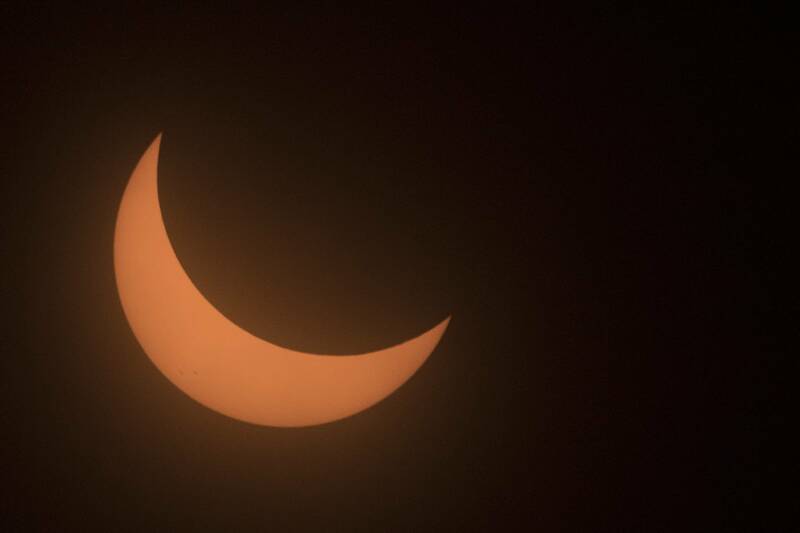 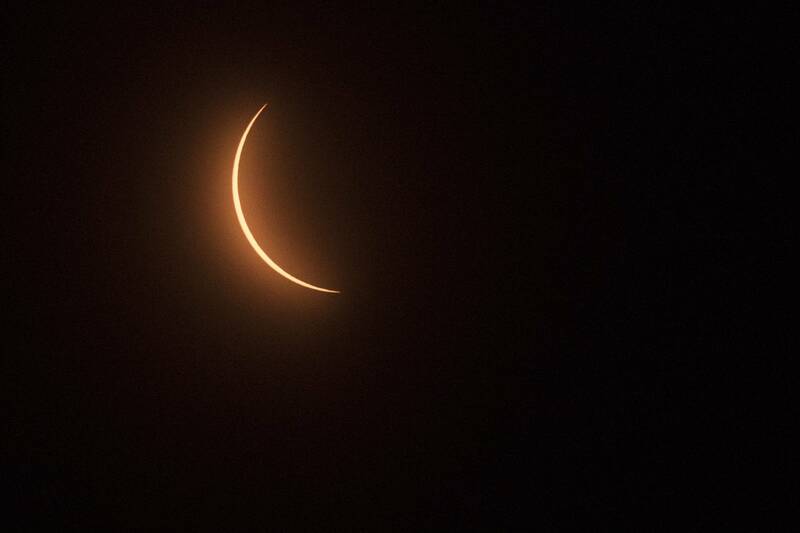 • Photos: It's an eclipse! 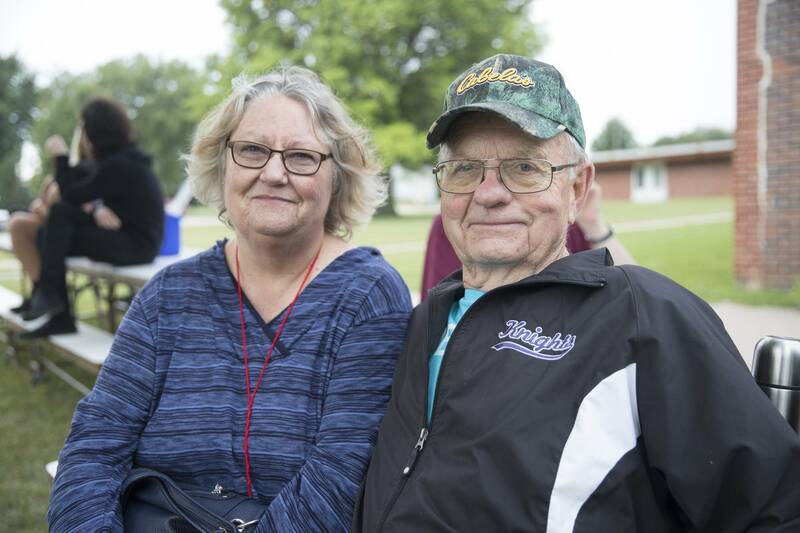 The bus left Albert Lea around 1 a.m. Monday morning with 54 people on board from around the area. 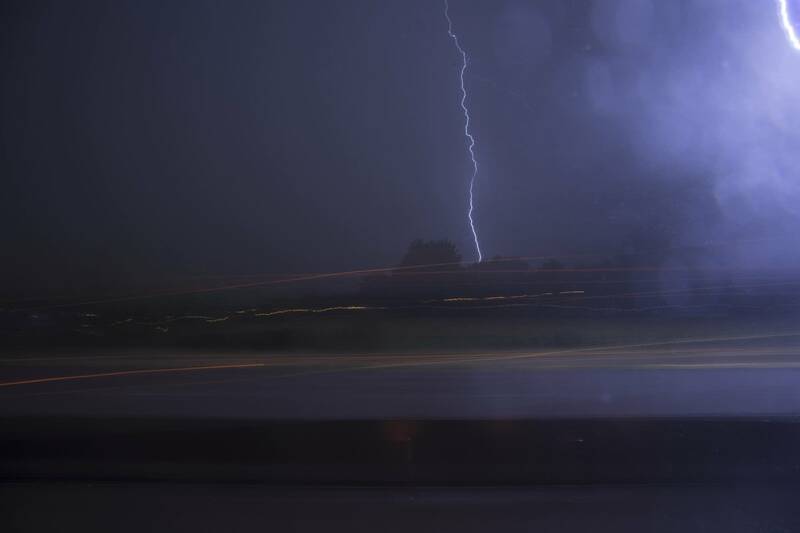 Part of the way across Iowa, they ran into a storm, with winds strong enough to tip a semi into a ditch, and lightning striking all around. 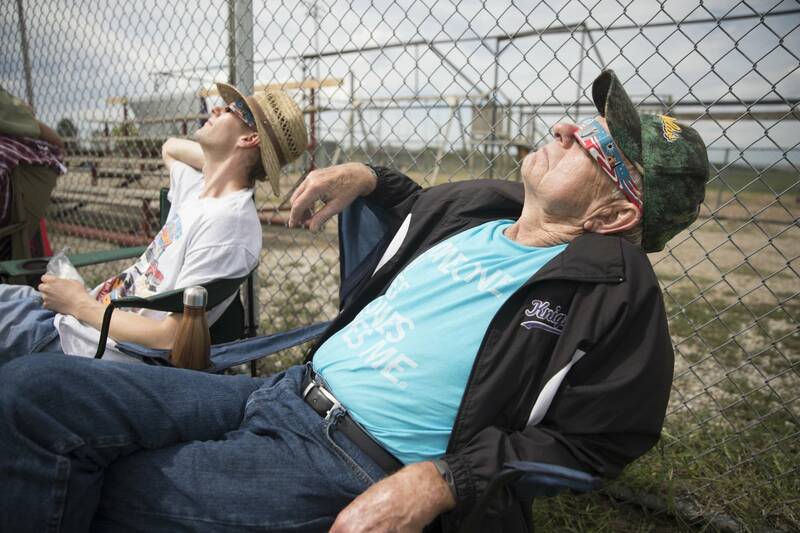 Sunshine greeted the group when they arrived at the Pawnee City Softball Complex. 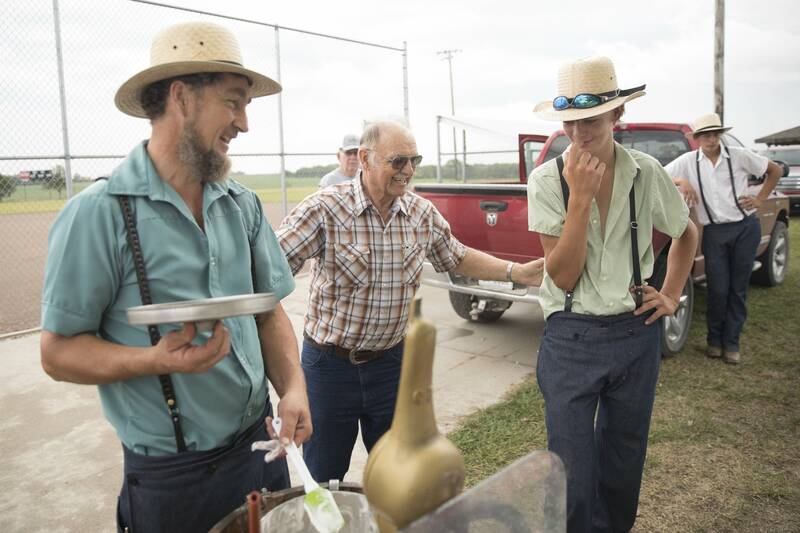 Hosts provided a polka band, local cuisine and homemade ice cream, but the good weather didn't hold. 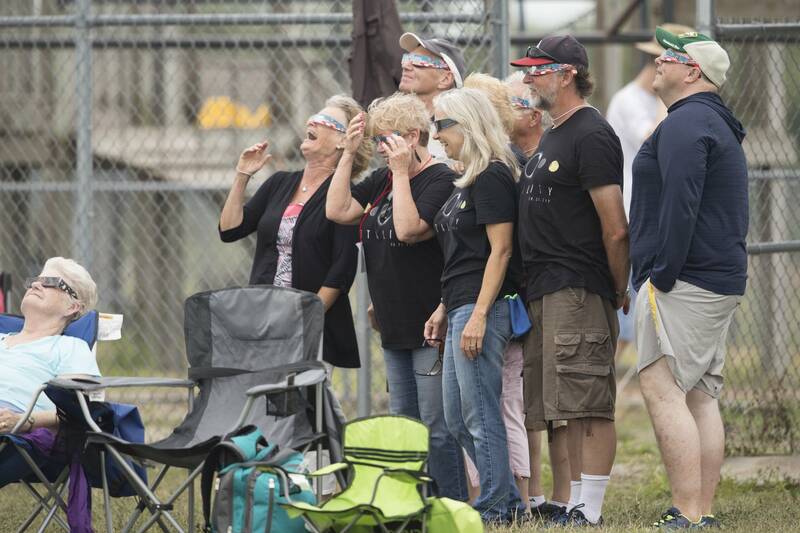 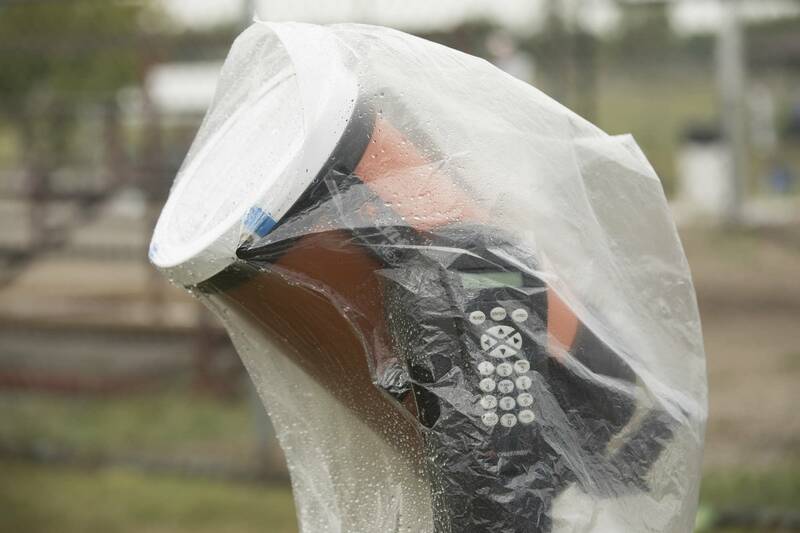 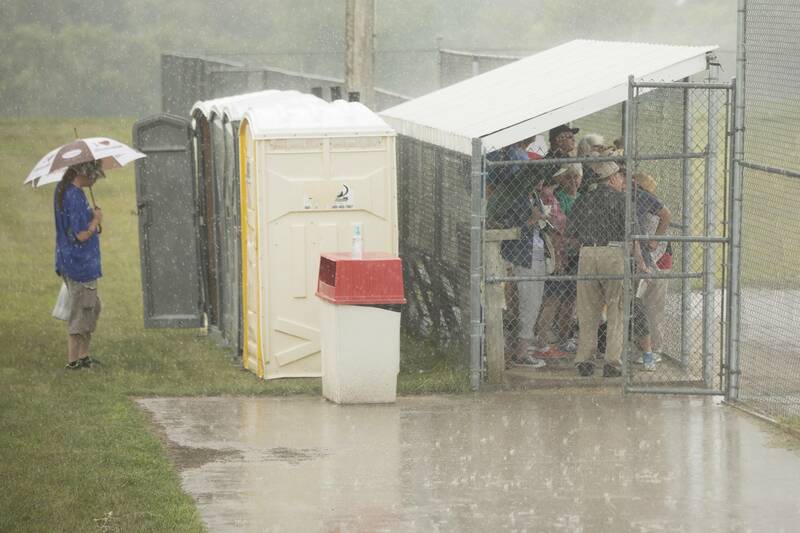 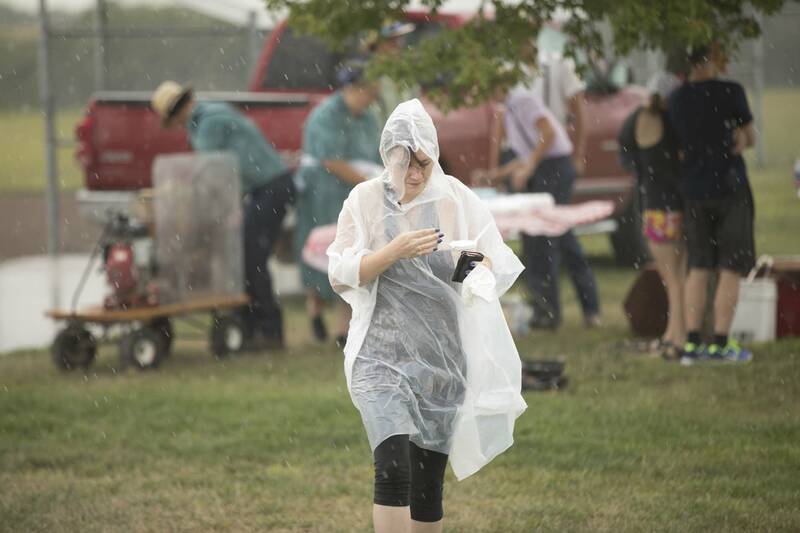 The group watched nervously as waves of rain came through, but the rain faded and the skies became partly cloudy in time for viewing the eclipse. 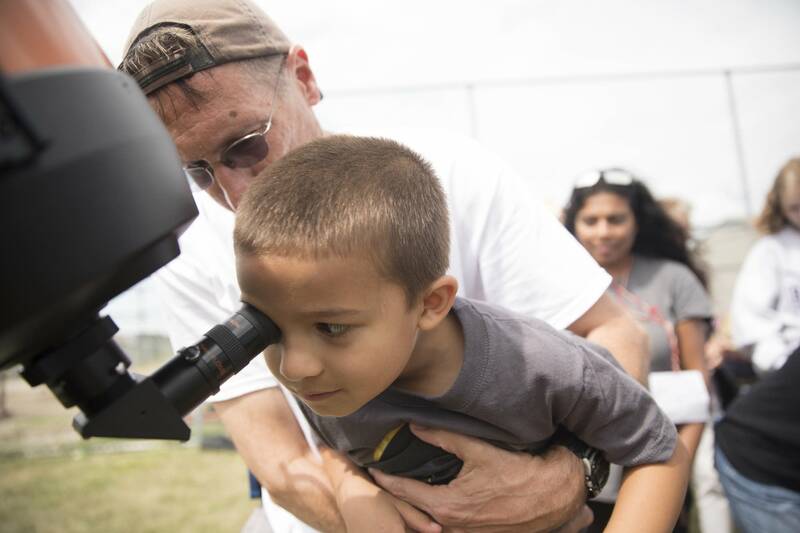 Fiscus talked to the group about what to expect as the sky slowly grew darker. 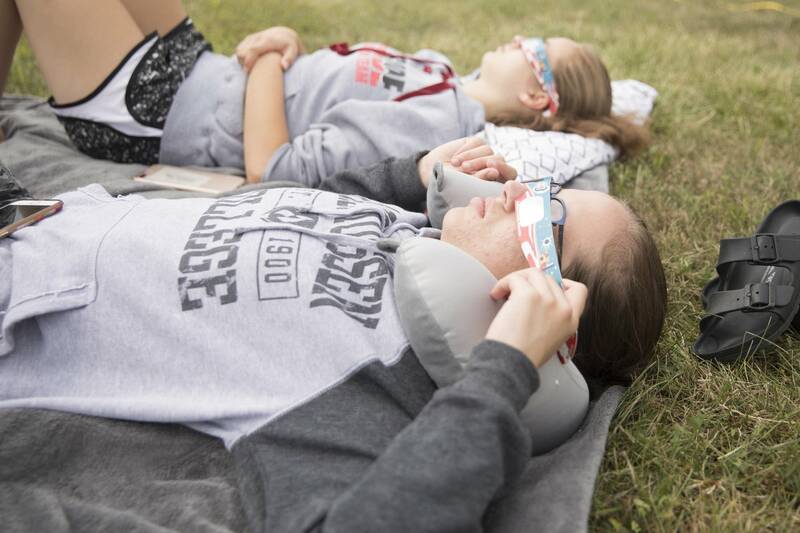 As the eclipse grew closer to totality and the sky put on a 360-degree sunset, it grew darker and colder. 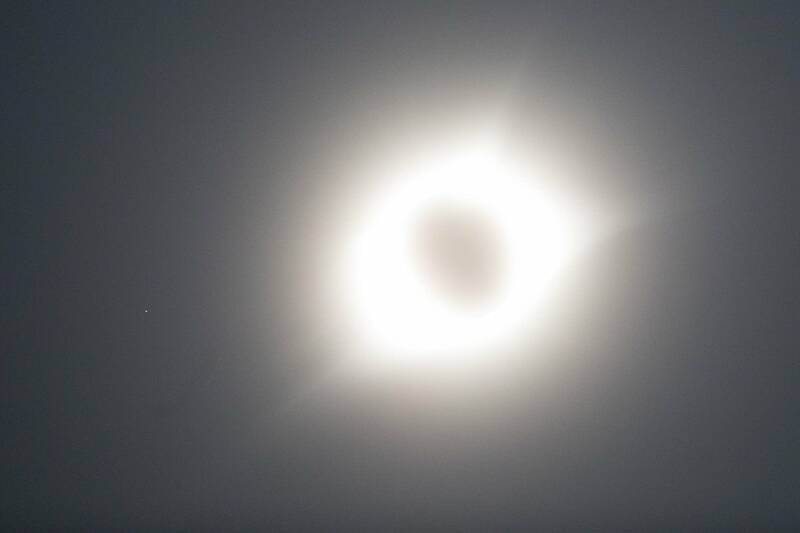 When the full eclipse arrived, some shrieked and screamed. 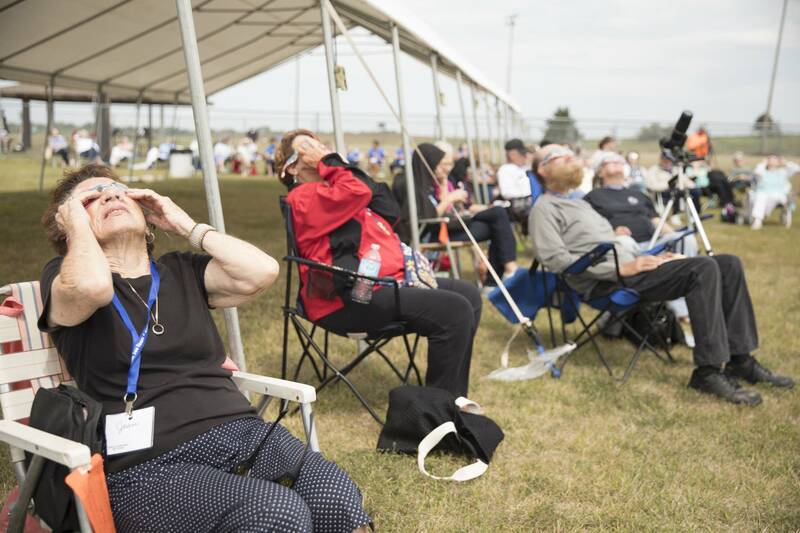 Once totality hit, the sunglasses came off and for a little over two minutes, the group stared into the sun's corona, bringing some to emotional tears. 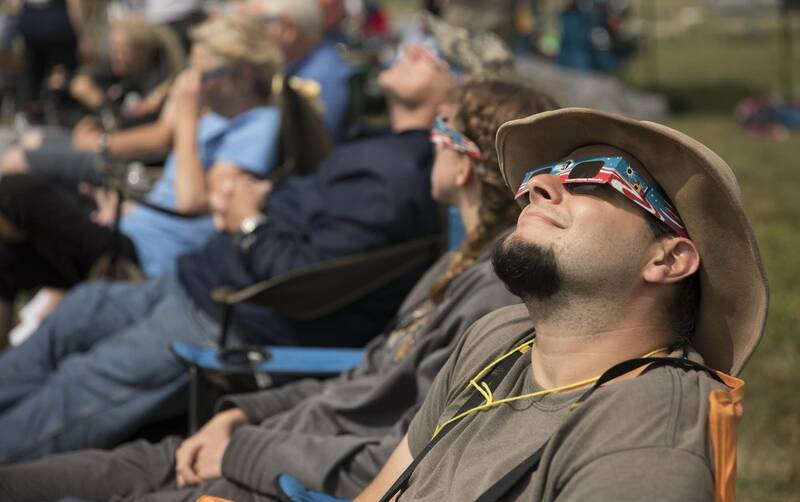 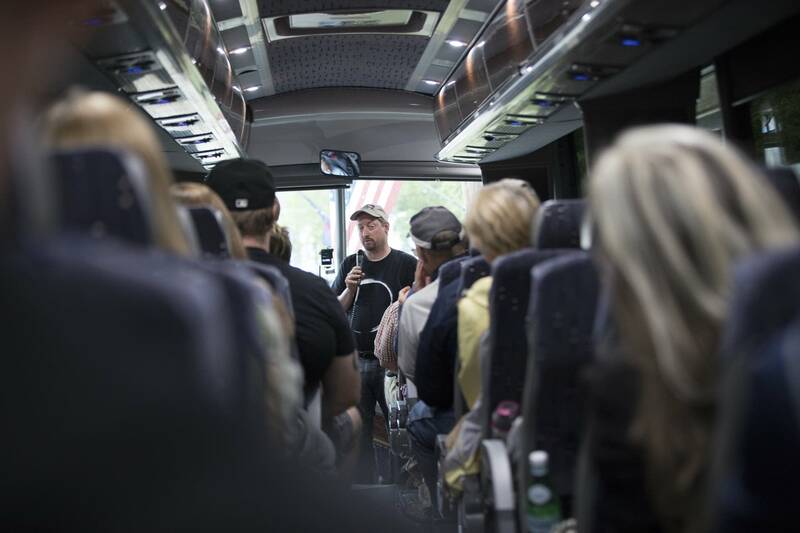 Shortly afterwards, the group boarded the bus to head home to Minnesota, sitting in huge traffic jams with other eclipse viewers, and arriving back 23 hours after they left. 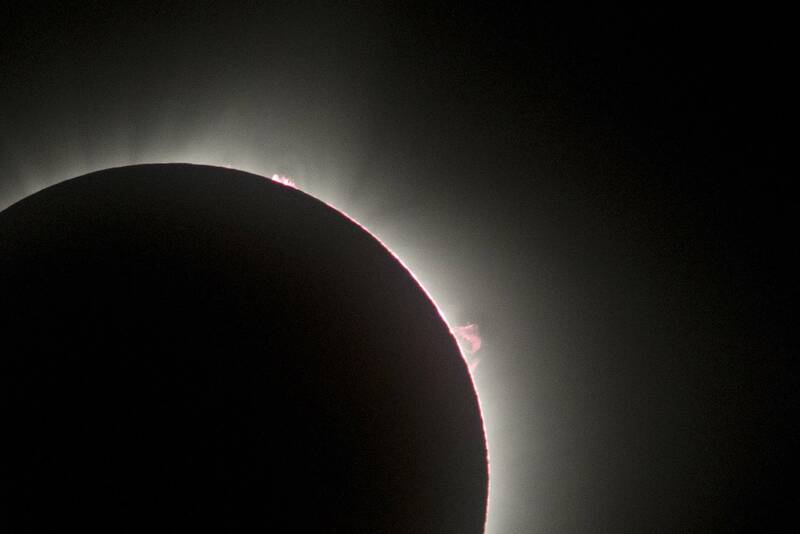 The next solar eclipse arrives in 2024, with path of totality running in an arc from Texas to Maine. 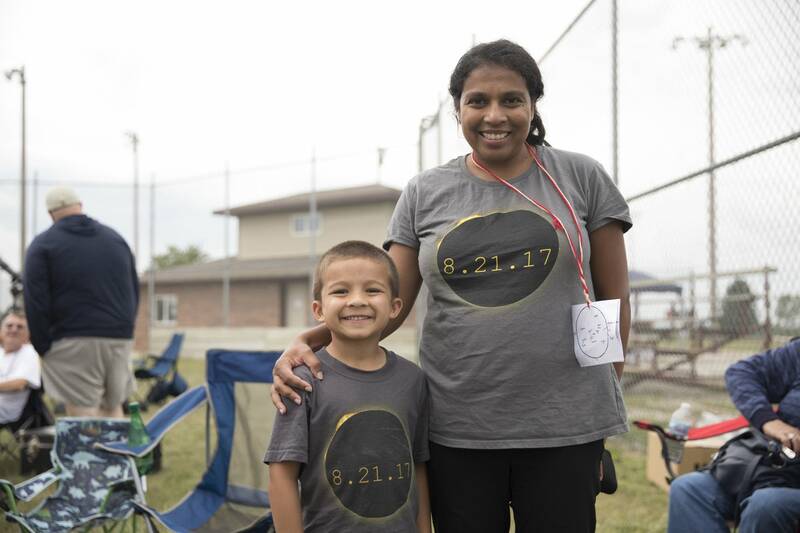 Correction (Aug. 22, 2017): An earlier version of this story incorrectly spelled Shremattie and Alek Kokotovich's last name, and Alek's first name. 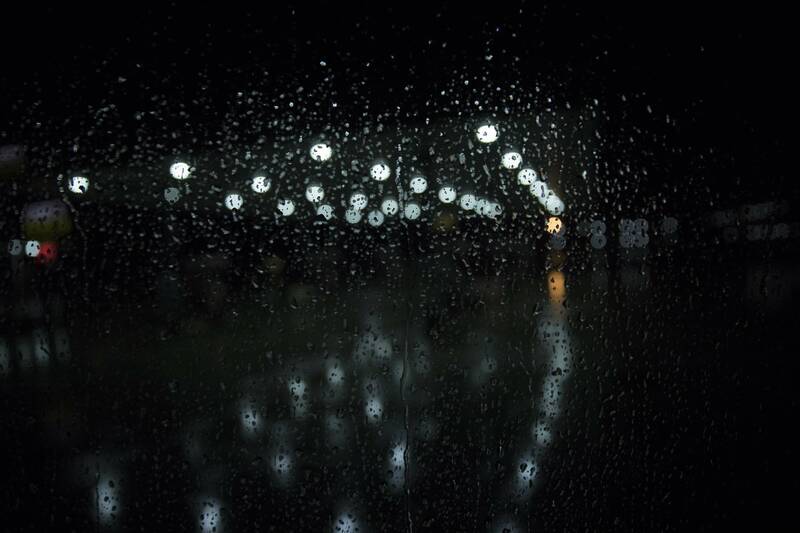 Chris Juhn is a freelance photographer based in Minneapolis.